FYP Ribbon is double-sided bridal satin that comes on 50yd spools. 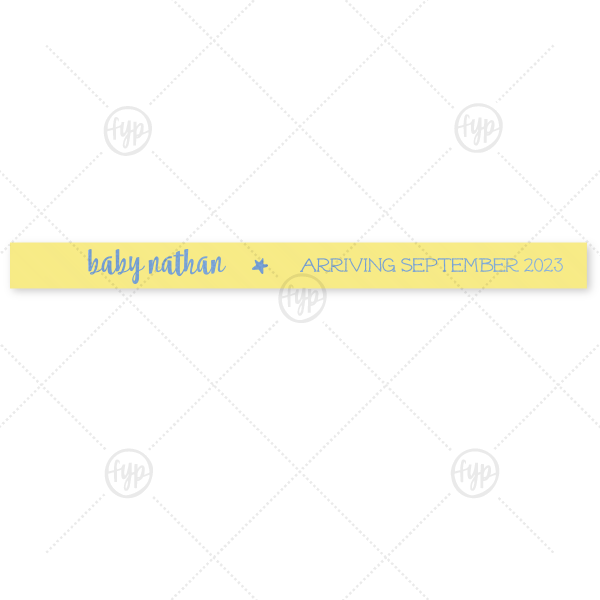 It is available as blank stock or personalized, and can be personalized on one side. Personalized and blank stock ribbon comes on the spool. 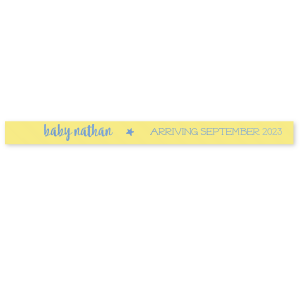 Personalize your Ribbon with text and illustrations from our extensive, designer-curated collection. With over 150 fonts, 50 foil colors and 1,300 clipart images, you can create the perfect party accessories for your event. You also have the option to Upload Your Own Art for a truly unique product. 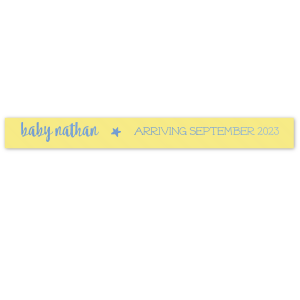 Please note that because of their size, only certain designs will fit on your Ribbon. Custom Mimosa 5/8" Satin Ribbon with Shiny Turquoise Foil and a sweet Twinkle Twinkle theme couldn't be more perfect for a baby shower. It's time to show off your impeccable taste.